Offering you a complete choice of products which include epe rolls. 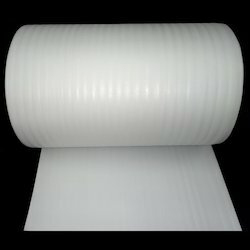 Our organization is involved in manufacturing and supplying wide range of Epe sheets. This EPE sheet is used for safe and shock free packaging of delicate articles. We manufacture these from superior sheets using cutting-edge technology and are developed by our experts. Offered EPE sheet is available in perforated, non-perforated and anti-static and these can also be customized as per the application needs of the customers.